Springton Tennis Club is fortunate to be associated with a number of talented tennis pros. These accomplished athletes are ready to work with you to improve your skills in the fine art of tennis. So whether you are looking to become a pro yourself or just to take up an invigorating pastime, these are the people to see. Paul has been a member of our teaching staff for 33 years. 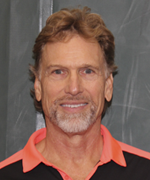 He has been a USPTA- certified pro for the last 44 years and was a top-ranked Middle States junior and men’s player. Paul has been inducted into the PA Tennis High School Players’ Hall of Fame and in his playing days represented Middle States in Jr. National Cities, Choris Cup (21 and under), and the Choris Cup. 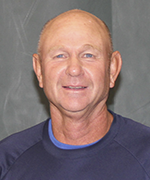 In addition to teaching, Paul coaches the Great Valley High School boys’ tennis team and has been named the All-Area High School Coach of the Year two out of the last five years. Rick has been a Springton pro for 27 years (since 1991). His coaching of Conestoga’s High School boys’ team, Kennett Square High School girls’ team and West Chester University led Middle States to name Rick Coach of the Year numerous times. 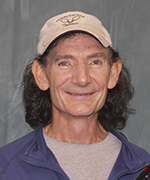 He has been a USPTA-certified pro for the last 40 years. He is tennis director at Pennypacker Country Club in the summer. Jack is in his 24th year at Springton. He is a USPTA Certified Pro. Jack has played both collegiate and tournament tennis. Jack is also Springton’s Co-Director of Junior Development. Keith is a graduate of West Chester University, where he played volleyball for four years and participated in national tournaments. Keith has 29 years of teaching experience at Springton Tennis Club as well as other local country clubs. 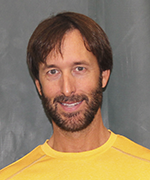 He is a USPTA-certified pro and has competed in Middle States tournaments. Keith is Co-Director of Junior Development in addition to teaching private and clinic lessons. He is sponsored by Prince Global Sports. 2012 Pro of the Year! Springton’s own Rick Palmer was chosen as the USTA Middle States 2012 Pro of the Year. Each year, PATD pays tribute to the district’s top ranked players and to those who have made exceptional contributions to the sport of tennis in the Philadelphia Area. Please join us in congratulating Rick on his many years of dedicated service, teaching and mentoring so many of us. Tennis is known as a sport that can be a lifelong pursuit. You may know of someone that has a tot who has started a class. You may wonder how young is too young to start learning the game. Truth is, as soon as your child is able to walk and hold things, you can expose them to the sport. Let them investigate your racquet and touch, roll and throw balls. There have been studies shown that children gain an interest in engaging in things that they see and are around at a very young age. The beauty is, you don’t have to do anything but expose them to the sport. Some of the following are ways that you can get them started. 1) Have the tennis channel on. Kids are very often visual learners and there is nothing better then watching how the pros do it! 2) Find the right coach and program that is appropriate for your child’s age. If your child is in the 3-5 range, they should be using a lot of appropriate motor skill development teaching aids and it should be FUN. 3) Play and have fun together as a family. You can play tennis even at home in your own house by tapping balloons back and forth. Or book a family lesson with a pro who specializes in working with both you and your child at the same time. You would be surprised at how much fun a family lesson can be. Children love to play with you and nothing beats the family bonding time! Enjoy!